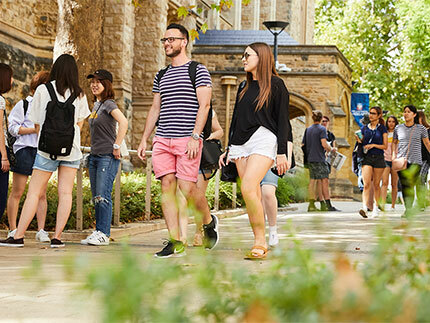 The University of Adelaide has announced plans to make Singapore its second largest campus within two years, projecting a doubling of student numbers by 2010 with the help of its education partner, Ngee Ann Kongsi. 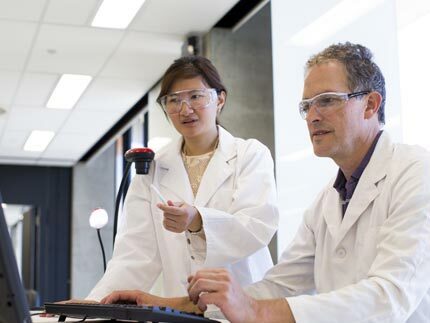 The introduction of new postgraduate programs and research collaborations with Singapore is expected to make the newly-named University of Adelaide Ngee Ann - Singapore Campus a regional centre of excellence. The Vice-Chancellor and President of the University of Adelaide, Professor James McWha, told a gathering of about 200 alumni in Singapore on Friday night that the quality brands of both the University and Ngee Ann would help facilitate this development. "The University values its close bonds with Singapore and we are proud to have produced so many distinguished alumni from this region who are leaders in their fields," he said. Student numbers are projected to jump from 456 to 900 by the end of 2009, with further growth planned over the next decade. This increase will include the recruitment of students from other countries in the region, as well as from Singapore. Postgraduate programs offered by the University in Singapore will also be expanded over the next three years, with a Master of Accounting degree and Graduate Diploma of Wealth Management among the new courses. Entrepreneurship and International Trade are also likely to be offered. Australia is the leading destination for Singaporean Higher Education students, with 55% of the market, followed by the United States and United Kingdom with 19% and 18% respectively. 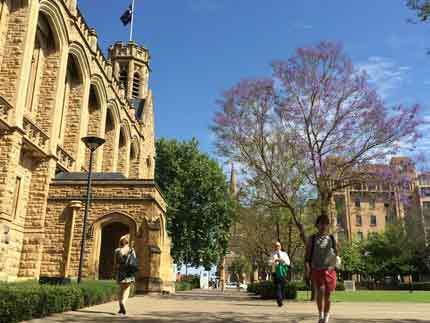 Singapore is now the University of Adelaide's third largest source of overseas students. The majority of them study in Singapore and these numbers are expected to increase substantially in the next decade. The Pro Vice-Chancellor (International) of the University of Adelaide, Professor John Taplin, said academic staff and postgraduate students would spend extended periods of time at the Ngee Ann - Singapore Campus in future. "Opportunities for research collaboration in strategically important areas for both Australia and Singapore will also be explored, and public lectures will be presented by University of Adelaide professors on a regular basis," Professor Taplin said. The announcement coincides with the University of Adelaide and Ngee Ann Kongsi's 10th anniversary celebratory dinner last Friday as joint education partners in Singapore. At the dinner Dr Tony Tan, Chairman of Singapore's National Research Foundation, launched the Singapore Adelaide Alumni Fund, which will provide financial assistance to undergraduate students who are Singapore citizens or permanent residents, and are studying full time at the University of Adelaide. The Ngee Ann Kongsi has generously agreed to match every dollar contributed up to SGD$250,000. Dr Tan, a former Deputy Prime Minister of Singapore, is one of many high achieving graduates of the University of Adelaide. Other Singapore alumni include the late President of Singapore, Mr Ong Teng Cheong, High Court Judge Justice Lee Sieu Kin, Minister for Transport Mr Raymond Lim and Senior Minister of State for Trade and Industry, Mr S. Iswaran. 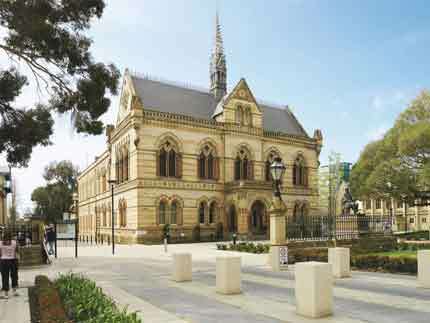 Established in 1874, the University of Adelaide is Australia's third oldest university and carries a five-star rating for prestige. Currently ranked 62 in the world by the Times Higher Education, the University is associated with five Nobel Prize winners, 101 Rhodes Scholars and 103 Fulbright Scholars.